Mauricio Pochettino reckons that whatever the Southampton faithful did when he visited them as an opposition coach 8 months back, one thing was clear from it that he was special for them. If he had not been special for them and he had been just like other visiting coaches, they would just have supported their team like they normally do on the day of his visit as well and had done nothing unusual. Tottenham Hotspur is the only team in the Premier League that has not sustained any loss out of their 11 opening league matches that have been played so far in the season of 2016-17. Every other club in the top tier English League has at least sustained at least 1 defeat but Mauricio Pochettino and his team is at this point in time undefeated. Premier League side Tottenham Hotspur seem satisfied to have extended the deal of current key players in the squad. Talented English international Kyle Walker extended his contract with White Hart Lane. A happy coach Mauricio Pochettino wore a club tracksuit and posed with the player, all smiles. In recent weeks, seven top Spurs players have extended their contract with the club. Dele Alli, Eric Dier, Christian Eriksen –despite rumours that he was leaving due to poor monetary compensation plan – Walker, Danny Rose, Tom Carroll, and Harry Winks. There are reports that defender Jan Vertonghen is next. Harry Kane and Erik Lamela deals are rumoured to be in the pipeline. Mauricio Pochettino reckons a nutmeg is just another action on a Football pitch and is not something special in his eyes. So, he doesn’t have too much to speak about it. Pochettino opines that the motive of a player should be to get the better of his counterpart rather than to do something to cause embarrassment to him. 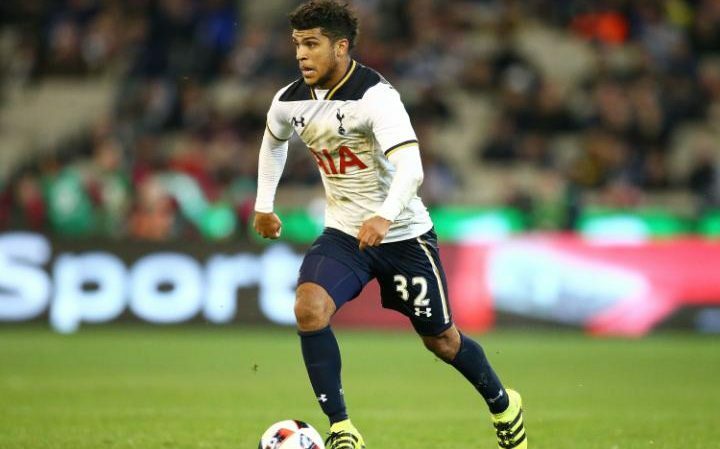 Premier League side Tottenham Hotspur have reportedly offloaded DeAndre Yedlin as his deal with English Championship side Newcastle is done. Yedlin has been linked with a move to Newcastle for a while now, but the deal is completed based on reports. Yedlin was even pictured as he arrived at Newcastle airport. France international Georges Kevin Nkoudou is set to make a move to Spurs following a £11 million deal going through, Guardian reports. Mauricio Pochettino feels that his Tottenham team did not receive a lot of support and instead only got hatred from the rest of the Premier league in the pursuit of the Premier league title. Tottenham defender Ben Davies claims that the squad joking about how rumours were linking manager Mauricio Pochettino to the vacant job at Manchester United. Bournemouth are weighing up a £4million move for Tottenham Hotspurs midfielder Ryan Mason according to reports by The Mirror. According to The Mirror “Mason’s name is understood to have cropped up in talks between Spurs and Bournemouth over striker Callum Wilson. Mauricio Pochettino says it had been no matter of worry for him that Kevin Friend, a so-called Leicester City supporter, was going to be in operation in Tottenham’s game against Stoke on Monday. The Football Association pulled Friend out of that game yesterday after rising concerns of the Spurs supporters on Twitter and other social websites and instead allotted the game to another referee. It did not amuse everyone around though. Copyright © 2019, I Hate Spurs.